Breaking news!! The 2-stroke is making a return to national motocross racing. See below for the complete press release but here are the important points. There will be a 125cc two-stroke support race at 7 of the 2018 national motocross rounds. The event is open to racers that are “B” class or better and at least 16 years old. The six rounds will operate as qualifying for the seventh round at the series finale in Indiana. The locations for the six rounds are Hangtown, Thunder Valley, High Point, Southwick, Washougal, & Budd’s Creek. (Indiana Finale). MORGANTOWN, W. Va. (April 17, 2018) – The beloved sound of 2-stroke motorcycles will return to American motocross this summer as MX Sports Pro Racing has announced the introduction of the 125 All-Star Series. 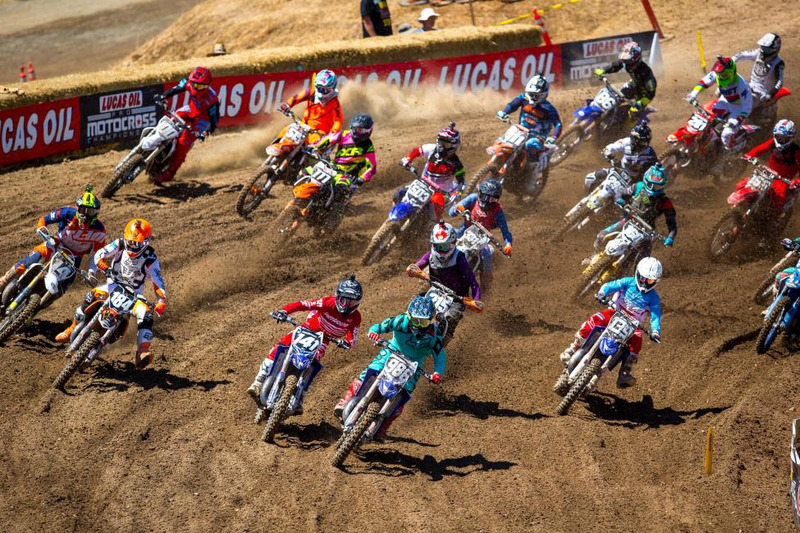 This new support program will be featured at a total of seven rounds of the 2018 Lucas Oil Pro Motocross Championship, sanctioned by AMA Pro Racing, beginning with the season-opening Hangtown Motocross Classic on May 19th. The 125 All-Star Series will consist of six qualifying rounds and a climactic finale at the season-ending Ironman National on August 25th. In addition to bookending the National schedule, this one-of-a-kind 2-stroke showcase will also visit Thunder Valley (June 2), High Point (June 16), The Wick 338 (June 30), Washougal (July 28), and Budds Creek (August 18). Each All-Star event will feature a one-moto format and will be contested during opening ceremonies at the designated Nationals. The Dirt Diggers will help open the 125 All-Star Series at the 50th Annual Red Bull Hangtown Motocross Classic, the 2018 Lucas Oil Pro Motocross season opener on May 19th. “The resurgence of market interest for 2-stroke based motorcycles and our recent experience with 2-stroke support classes at national events presents us with opportunities for developing a more formal program for these products for 2018 and beyond,” explained Roy Janson, Director of Competition for MX Sports Pro Racing. The 125 All-Star Series is open to current production-based 125cc 2-stroke machines, as well as non-current production models from the final three years of production for manufacturers who no longer produce 125cc models. To be eligible to compete riders must be a minimum 16 years of age, with an AMA skill classification of “B” or higher. Current and former AMA Pro Motocross-licensed riders are eligible to compete, so long as they are not participating in the professional classes at that event. To apply for race entry, submit the 125 All-Star Series Entry Form directly to the appropriate event promoter noted on the Form. 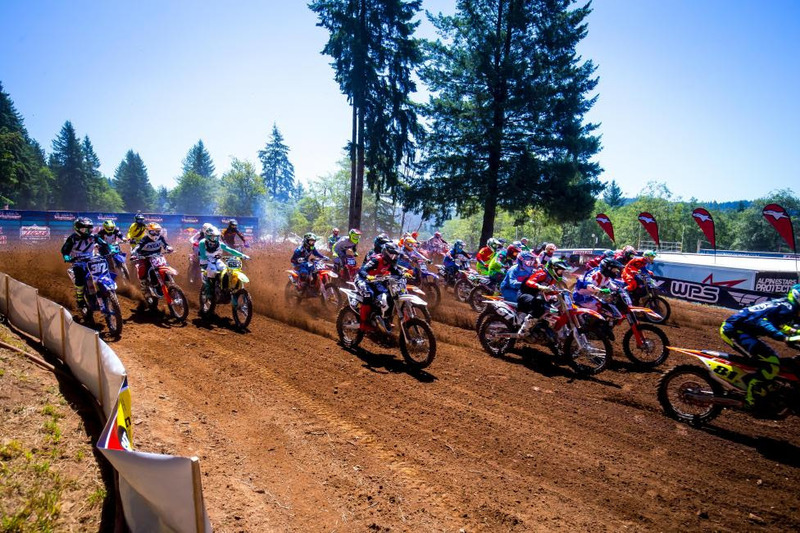 The beloved sound and smell of 2-stroke motorcycles return to Washougal as one of the seven Nationals hosting a 125 All-Star Series race. Tickets to each round of the 2018 Lucas Oil Pro Motocross Championship on now on sale and can be purchased by visiting ProMotocross.com. The Lucas Oil Pro Motocross Championship, sanctioned by AMA Pro Racing, features the world’s fastest outdoor motocross racers, racing aboard the best bikes each factory offers, on the roughest, toughest tracks in the world. The 12-rounds series begins at Hangtown in May and ends at Indiana’s Ironman Raceway in August. It includes stops at the premier motocross racing facilities in America, with events in California, Colorado, Pennsylvania, Tennessee, Michigan, Massachusetts, Maryland, Minnesota, Washington, New York and Indiana. The pro riders race on Saturday afternoon, with competition divided into two classes: one for 250cc machines, and one for 450cc machines. The Lucas Oil Pro Motocross Championship is managed by MX Sports Pro Racing, the industry leader in off-road power sports event production. The series is televised on NBC, NBCSN and MAVTV and streamed live on NBC Sports GoldSeries partners include Lucas Oil (series title sponsor), Red Bull, WPS, Fly Racing, GEICO Motorcycle, MotoSport.com, Garmin, 100%, KTM, FMF, Deltran Battery Tender, Pirelli, Suzuki, Husqvarna, Pivot Works, Vertex, Alpinestars, KMC Wheels, MotionPro, VP Racing Fuels, Acerbis and Racer X. More information can be found at www.ProMotocross.com.